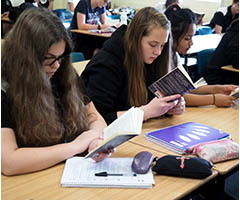 English at Canberra High School aims to be engaging and enlightening for the student body. Students have access to technology that helps enhance their learning experience. Students will be assessed on the three major aspects of English: writing, reading and speaking. Assessment difficulty varies depending on each class level. In level three classes there is a lower student to teacher ratio that helps students receive the support they need. 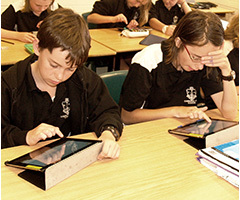 Students are assessed against the Australian Curriculum standards in each year level. All students must submit an essay and a creative response each semester and Years 7-8 deliver an oral presentation each term, whereas Year 9-10 deliver one each semester. English as an additional language or dialect (EALD) classes are open to students for whom English is not their only language. These classes also have lower student to teacher ratios than regular classes in order to keep support levels high.